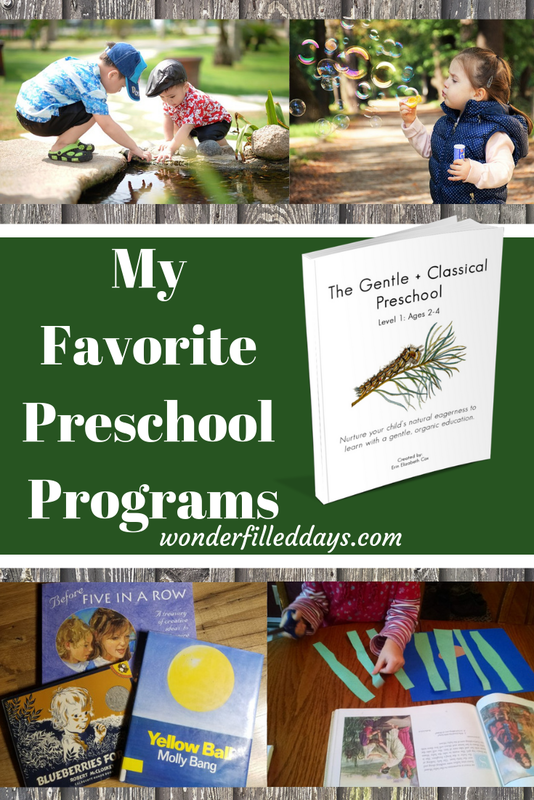 Here are some of my favorite preschool programs. Do I think a preschool program is necessary? No, I don’t. Read, play, read some more, go outside (probably one of the most important things you can do), and above all, point your child to Jesus. Don’t be over-eager to push academics. You can never redo these days. 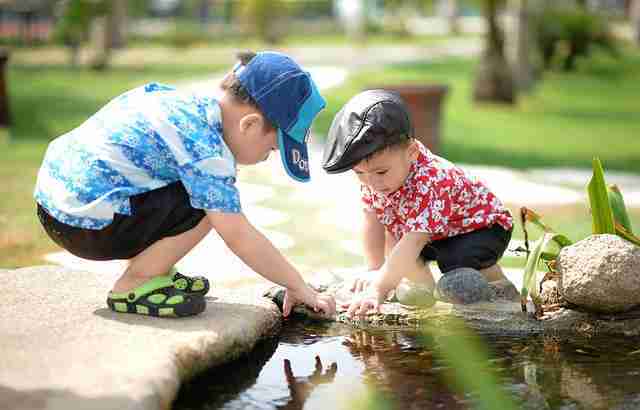 Your child will never be as eager to make footprints in the snow, or pick dandelions, or float sticks in a stream. However, some of us want some more structure in our days. For those who do, here are some programs I recommend. All of these preschool programs keep your focus where I believe it should be in these early years. We’ve really enjoyed using Heart of Dakota’s little Hands to Heaven program. 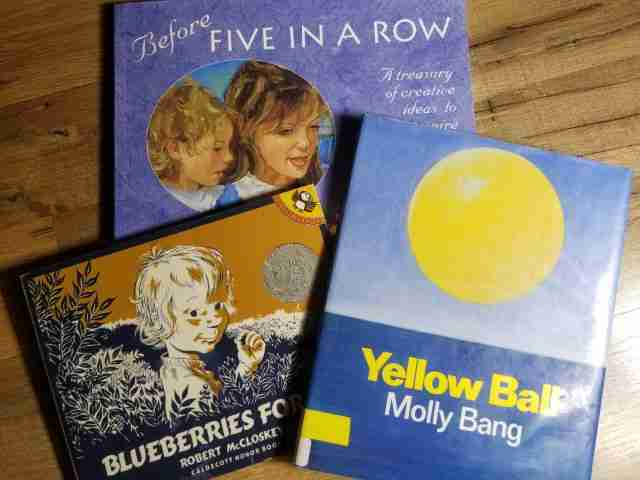 It’s a gentle, fun preschool curriculum that uses the Bible as it’s spine. 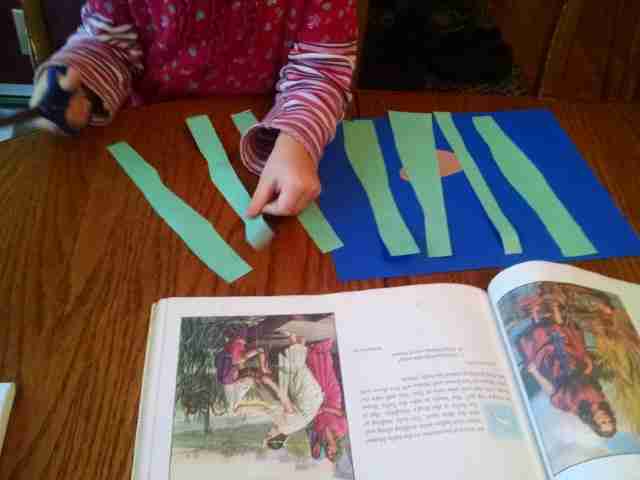 It also includes lot of fun art activities that tie in with the Bible story being studied. The teacher’s manual is laid out with each day covered in a two-page spread. The activities each take about five minutes to do, so it is easy to schedule them in during your day. It also includes daily Bible Memory, a letter of the week, math concepts, music, and finger plays. It’s not very expensive and since it’s non-consumable you can also buy it used (if money is an issue). I was delighted when I discovered this program since most of the other preschool programs I’ve seen cost more than I could justify spending on preschool. You can check out Little Hands to Heaven on the author’s website for more information. We’re just using the teacher’s manual and checking out the books that we can find from our library or already own. You can also buy book packages that go with it. According to the author, this curriculum is dedicated to nurturing and protecting the early childhood years. Read more about BFIAR here. 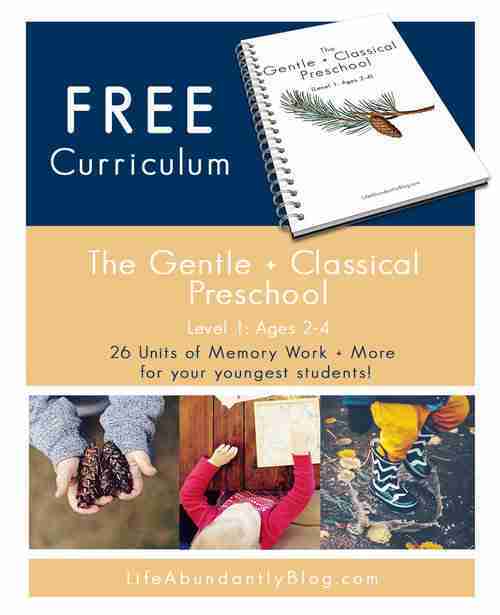 This is exactly what it says– a gentle and classical preschool curriculum. The PDF form of this curriculum is absolutely free. It is worth getting just to read the introduction. You will find encouragement in it to focus on what’s important at this age. I don’t think you’ll regret taking the time to read it. Read here why the author created the curriculum and see how you can download it for free. You can also buy a print copy of this on Amazon or on the author’s website. You can slip these into dry erase sleeves and reuse them as many times as you like. I know that there are many more preschool programs available, both paid and free. 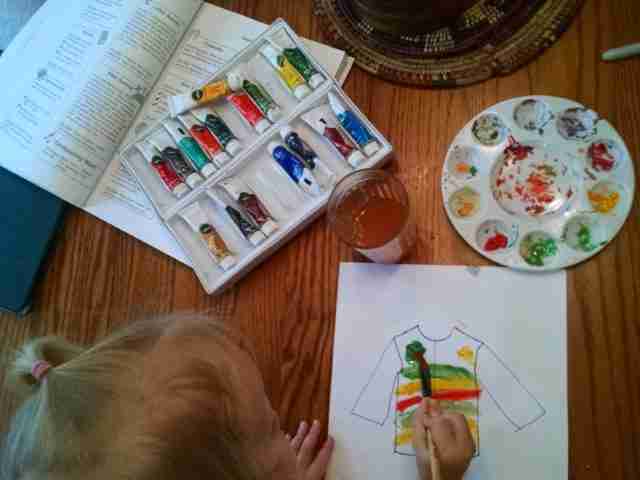 What have you done during the preschool years? And if you say, “We just played,” that’s perfectly fine! I haven’t done a formal preschool with all of my children and I certainly haven’t done it every day.